Just look at him! 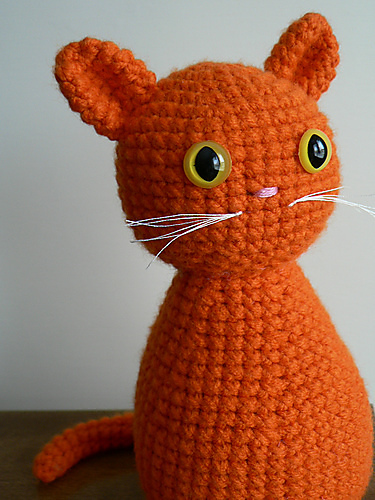 Begging to be crocheted up and handed to a kid. BEGGING. There really is no end to the lovely patterns. Should you want to answer his call for creation, the pattern is here. This page contains a single entry by LaMamacita published on May 25, 2010 8:26 AM. This is a really pretty scarf! was the previous entry in this blog. smock's southernism of the day is the next entry in this blog.